There are weirder hobbies to have, right? 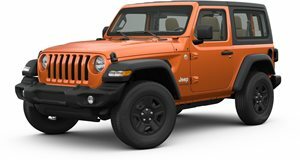 The Jeep Wrangler and its generations of predecessors have something about them that can make owners and enthusiasts very passionate. But these guys, who are equally enthusiastic about the Jurassic Park movies, have taken their interest to a new level – forming the Jurassic Park Motor Pool, a club that helps members turn their 1990s SUVs into all-out dinosaur-themed Wranglers (and one Explorer). If you think this is weird, you may be right, but there are worse hobbies to have, aren't there?